#CASEfest Newsletter 4. Lots of info re: upcoming events 4/28-5/7. Hope to meet you at a few! Welcome to the fourth edition of the Celebrating Art for Senior Engagement newsletter! This is the first area wide festival dedicated to our community’s older adult population. The festival will be from Thursday, 28th April to Sunday, 7th May 2016 and will showcase creative work, promote arts-related aging programs, feature positive images of older adults in the community, and build respect and understanding between generations. Mark your calendars the festival is starting in 14 more days! Check out our event calendar and detailed list of daily events. In this issue we will be exploring Improvisational theatre and classical guitar music! Thank you for your continual support! If you have any questions or comments please give us a call at (314) 420-1444. Connect with us online and on social media! How did you get started with Improv? When I was in highschool I did Improv after school and it soon became an Improv club. I majored in acting in college and when I graduated I improvised in a club at Union station before I got more formal training in Chicago. After that I returned to St. Louis where I met Kevin McKernon, the founder of The Improv Shop. Kevin actually posted an ad on craigslist to advertise his first class. That was how The Improv Shop was founded. It’s first class was in 2009 and it’s first performance was in 2010. What can audiences expect when they go to an Improv show? With any other type of performance you are watching something that has been rehearsed many times and will be the same if you see it again. With Improv the improvisors are discovering what the show is about and audiences are a part of their discovery process. 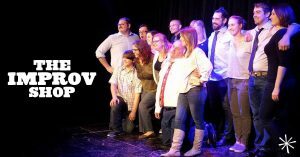 You can see an improvisor’s eyes light up when they find out what what the performance will be about and that usually involves being comedic. There is some magic in this process of joint discovery. 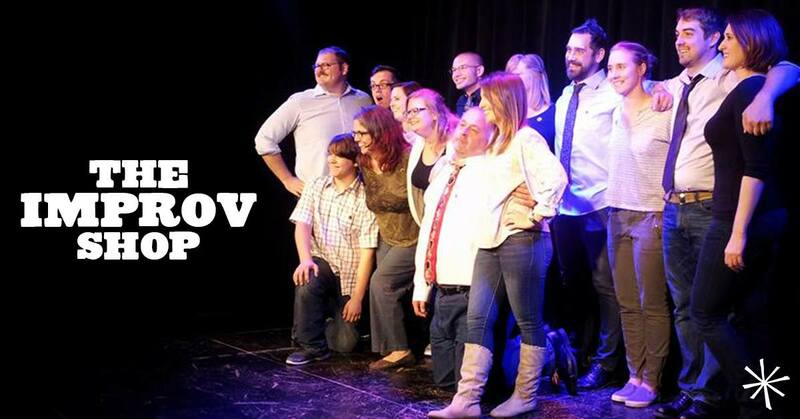 Where do you see the Improv Shop going in the next few years? We’ve been only growing when necessary. For example, we started out with a show once every two weeks on a Thursday and only when those shows were full would we add Monday shows and so on. Hopefully, we can keep growing and add to our diversity of programs. We’ll be talking about the fundamentals of Improv. Of course we don’t know what the scene will be like but we have certain methods to arrive at those quality scenes. “Yes and…” is one of the foundational elements of Improv to build on ideas and for improvisors to mutually agree to the reality that they are creating. 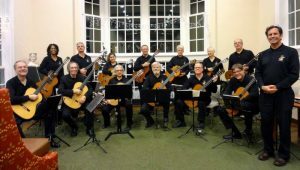 From a small club to one of the largest guitar societies in the country, the St. Louis Classical Guitar Society has provided the community with alternative ways of experiencing classical music for over 50 years. We spoke to William Ash, Executive Director of the St. Louis Classical Guitar Society. What is the importance of reaching out to the community? A lot of people who come to our concerts are experiencing classical music for the first time. We try to provide a window into the larger world of classical music using a familiar instrument and we hope that our audience will hear things that appeal to them, in a classical style, and start going to a symphonic concert. Our concerts are enjoyable for anyone. The performances are very exciting and diverse and people don’t often know they’ll like it until they attend a show. You also do guitar outreach programs to schools in St. Louis, could you tell us a bit more about that? After a teaching seminar in the summer of 2014, we started to use a guitar curriculum that was designed for school students. 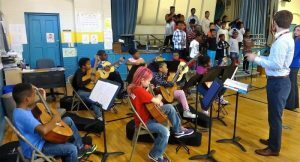 After successfully getting a grant from The Augustine Foundation of New York City, we started guitar programs in various schools in the city. Focusing on North County schools, like Ferguson, we reach out to young people in underserved areas and give them the opportunity to learn an instrument. One of the first songs kids learn is Spy Tune from James Bond. It focuses kids on rhythm and is a good way to make learning music more accessible. Teaching children is a gradual and organic process. The upcoming collaboration between the Atrium Gallery and the St. Louis Classical Guitar Society will be a great match of visual art with music. What can people expect from your upcoming performance? One of our best guitarists will be playing there to create an atmosphere for the exhibition at the Atrium Gallery. In addition to being a fine player, he is also one of the educators that we send to the Ferguson schools. We hope guests enjoy the performance!